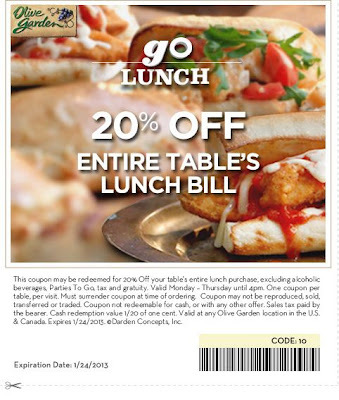 Get ready to print your coupon take it to your local Olive Garden to redeem it. Once you click the link it will bring up your print screen so be ready. Expires 1/24/13!